Romário. The man who scored 1000 career goals (debatable) had a very well traveled career. It basically went like this: Brazil-Europe-back to Brazil-Europe-back to Brazil-Europe-Back to Brazil etc.. with a few Qatar, USA, and Australian appearances thrown in near the end. 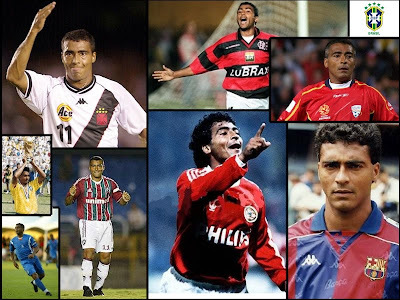 Amazingly, Romário played for Vasco da Gama four different times and for Flamengo three different times. All in all, he had 9 separate stints with Rio-based Brazilian clubs including Fluminense and one 'came out of retirement' appearance for America last year.